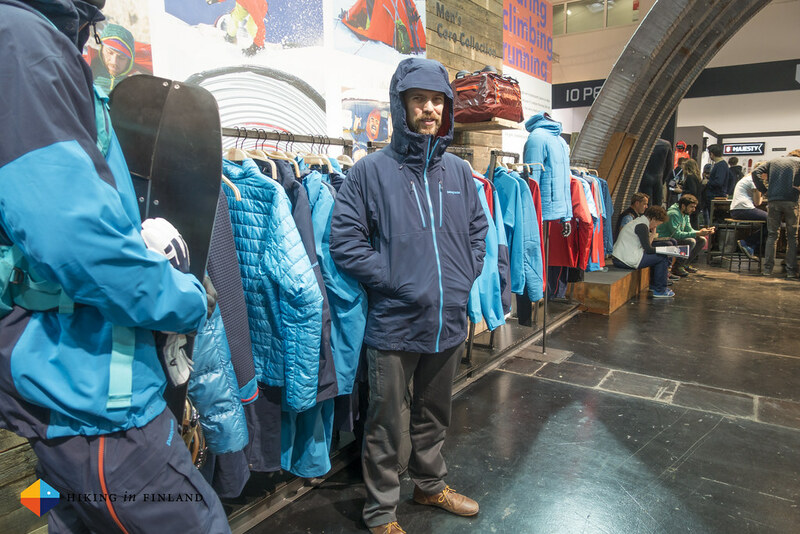 Fresh gear from the ISPO 2016, served steaming hot. Disclaimer: I paid everything myself to visit the ISPO, so actually there’s nothing to disclose here. Except, possibly maybe, that one beer I drunk at Arc’teryx. 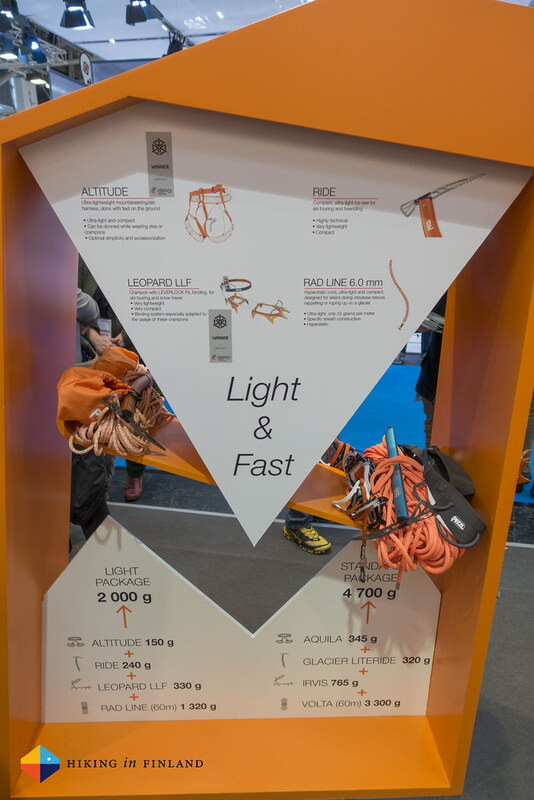 For starters read ISPO News Part I.
Petzl is hands-down my favourite climbing gear manufacturer so a stop at their booth is mandatory. The big news from them was something that made me as an ultralight backpacker and an aspiring ski-mountaineer very happy: An ultralight SkiMo kit that weighs in at 2 kg! 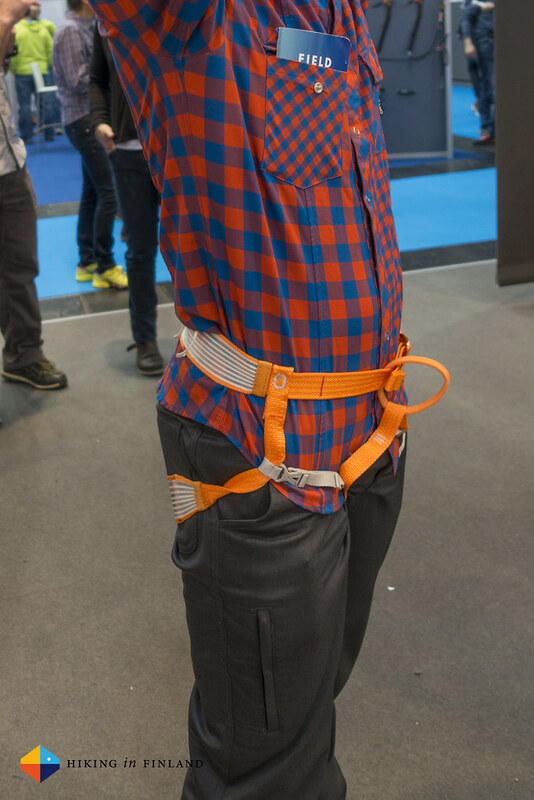 The kit starts off with the Altitude Harness, which uses the WIREFRAME Technology so the whole harness weighs just 150 g! You can put it on without taking your skis or crampons off as I tried on the fair, and it packs very small. It is a minimalist mountaineering/ ski harness so ideal if you traverse a glacier or rappel down a couloir. It packs small, will cost around 70€ and is available from July 2016 (!) onwards. 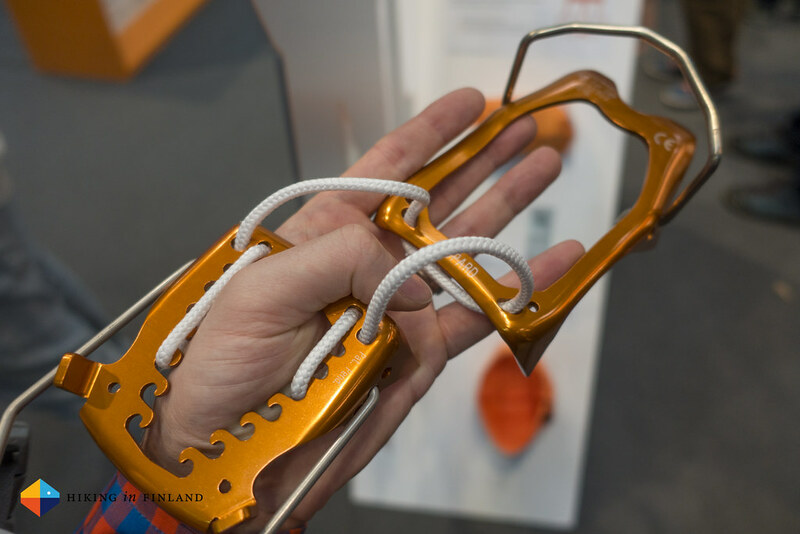 The Leopard LLF is a ten point crampon that weighs 330 g for the pair! The CORD-TEC flexible linking system reduces crampon volume and yes, I asked about the durability of these cords: “Prototypes have been used for over a year now and yet a cord needs to break.” After all you’re gonna walk on snow with these, so there’s not really much chances of the cord getting broken - unlike if you use them on sharp rock. They pack really small, are easy to put on your boot and the sizes can be adjusted in seconds by putting the cord over the hooks in the back part. They too will be in July 2016 in the shops and cost 116€. 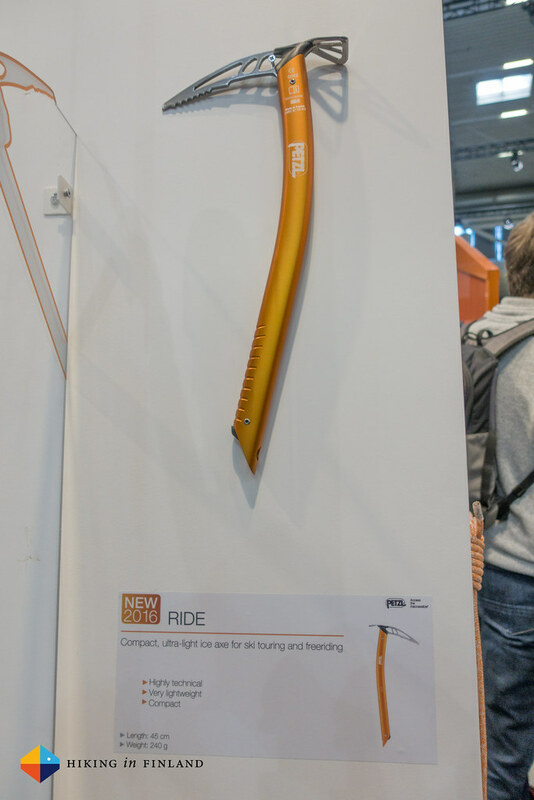 “Now we just need an ice axe for skiers” you might think, but Petzl thought this also and hence you’ll be able to buy the Ride ice axe in July for 80€. The axe is 45 cm long, a length which makes it easy to attach to backpacks or even carry them inside of a larger pack, and it weighs 240 g. The pick is made from steel and is 3 mm thick at the front so will penetrate ice well. It has a slight curve in the Type 1 shaft, felt good in my hand and is compatible with the Petzl LINKIN Leash. 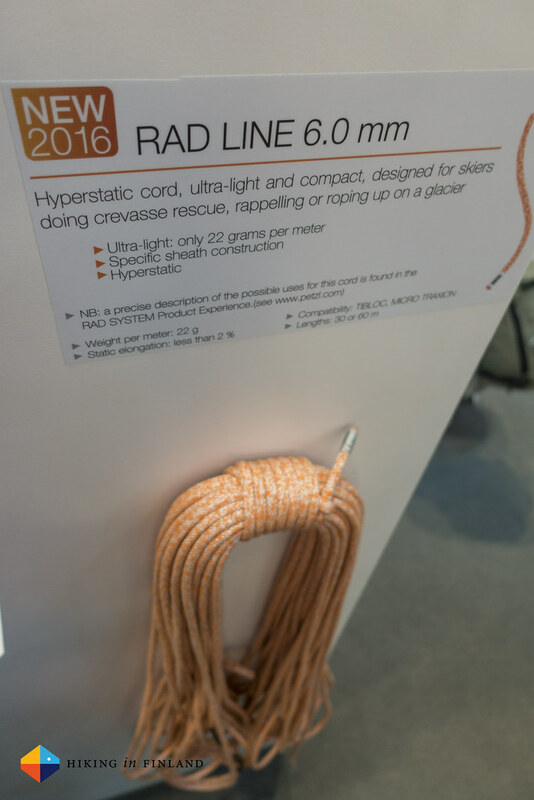 The RAD Line was previously only available as part of the RAD System, but from July 2016 onwards you can buy the very light 60 m rope for 180€ also on its own. At 22 g per meter it is a great choice for glacier travel & rescue as well as rappelling. That was the climbing and mountaineering side of things, onwards to Lightning. 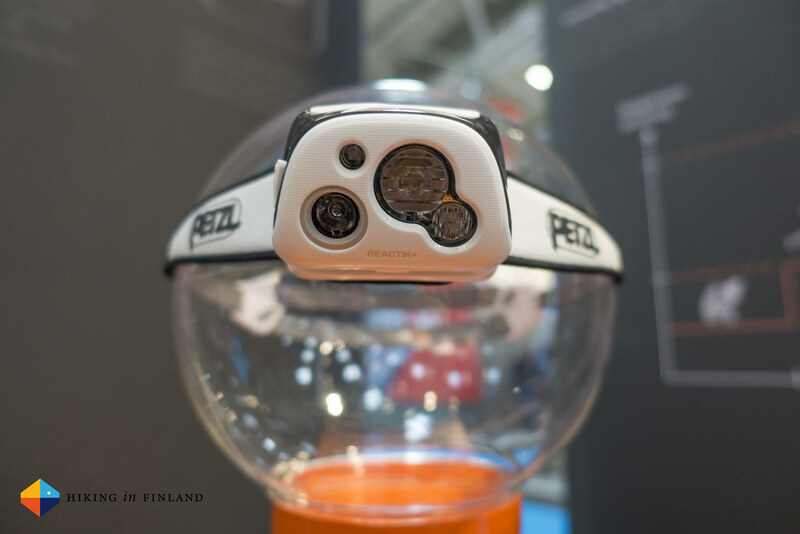 There is coming a free MyPetzl Light mobile app for REACTIK+ and NAO+ connected headlamps in July to the Apple and Android Stores, which will work with the two named models, via Bluetooth. 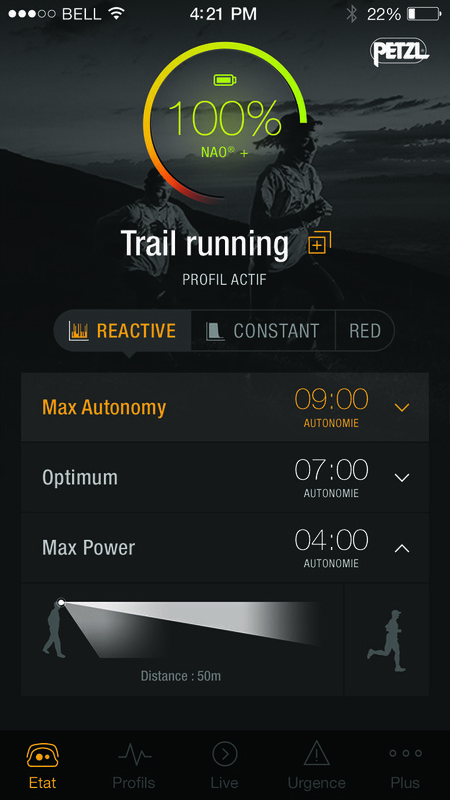 The Bluetooth is supposed to be low in energy consumption, and allows you to control the Headlamp via your phone in the same way you’re already now able to control the Nao via the Software on your computer. 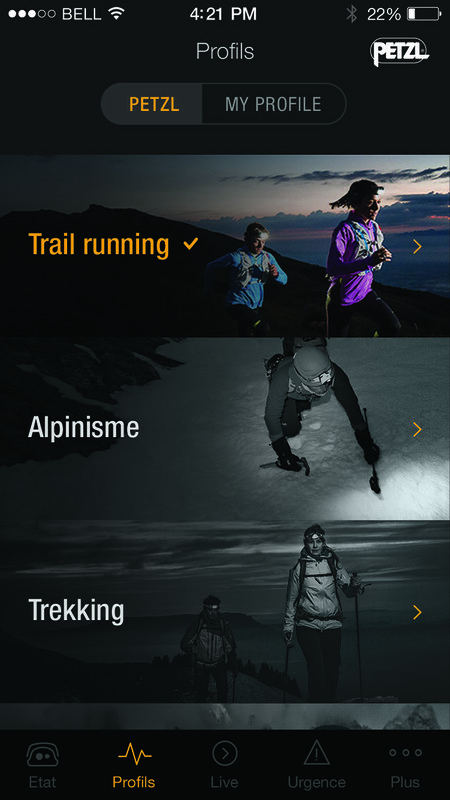 It sounds pretty good to be able to tell your headlamp for example that you will be out for six hours and hence want the optimal output over that period of time, all controlled from your phone. 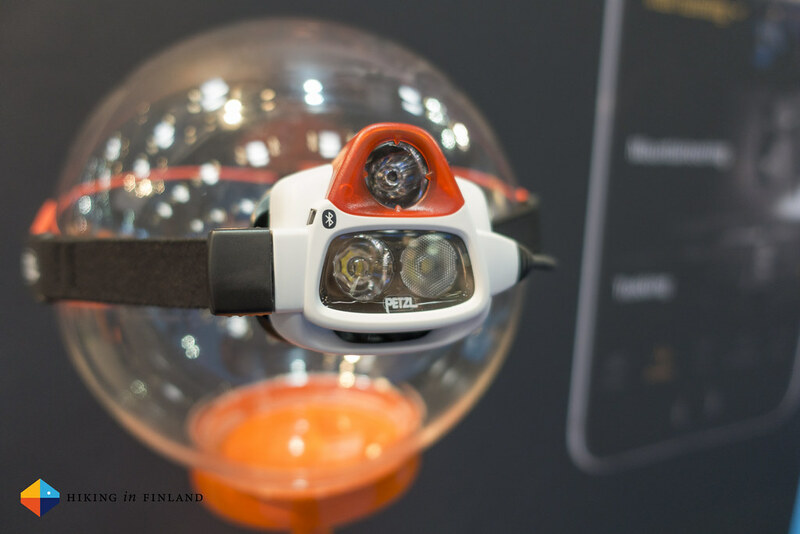 The two compatible headlamps are the Reactik+ and the Nao+. The latter will come with 750 Lumen and the former with 300 Lumen. The Nao will weigh 185 g, has a removable battery pack in the back which also has a red light so you’re seen from behind, and will cost 160€ once it comes out in October 2016. The Reactik+ will be 115 g light, costs 90€ and will already be available in July 2016. This was my first visit at PIEPS, the Austrian company specializing in Avalanche security gear. 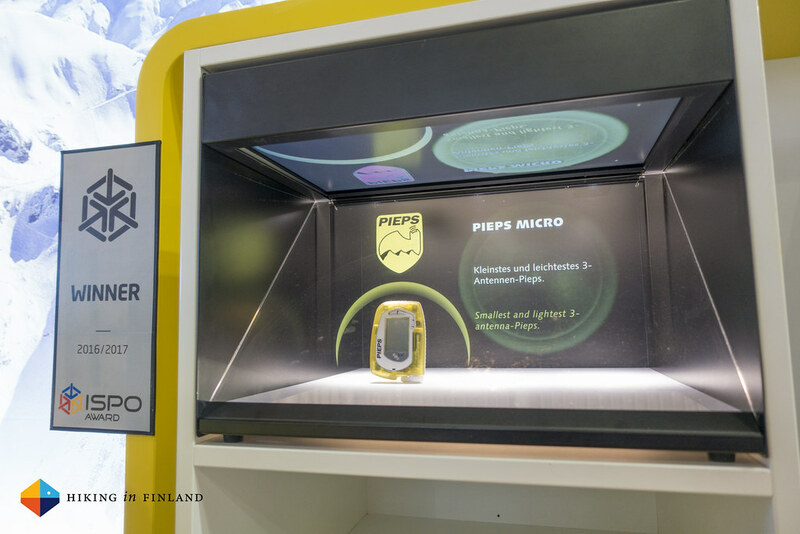 They presented their brand-new PIEPS MICRO, their smallest and lightest 3-antenna-beacon which comes with sensor technology and an app-controlled device management via Bluetooth. It has a big display for easy readability and a sensor which puts it automatically into search mode if you take it out of the holster. It’s 150 g light and has a size of 102 x 71 x 18 mm which makes it right now the smallest avalanche beacon on the market. It has a circular receiving range of 40 m which is a bit less than other 3-antenna beacons, but that’s not too big of a drawback. It will cost 350€. The iPROBE II is the second generation of the iProbe, 350 g light and 220 cm long. 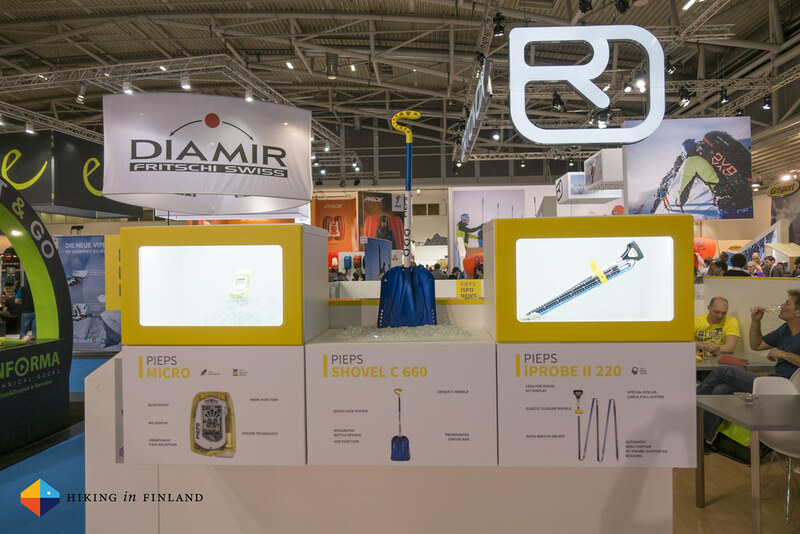 The fully automatic electronic avalanche probe enables peers to be rescued even more quickly with its acoustic and visual hit indicator, which saves time & reduces misinterpretations while pinpointing a buried friend. The Shovel C’s selling point is it’s C handle, which is easy to grip even with fat mitts on - unlike a T-handle. It comes in two weights: 660 g and 720 g, with a telescope shaft which is 88 cm and 90 cm long respectively. 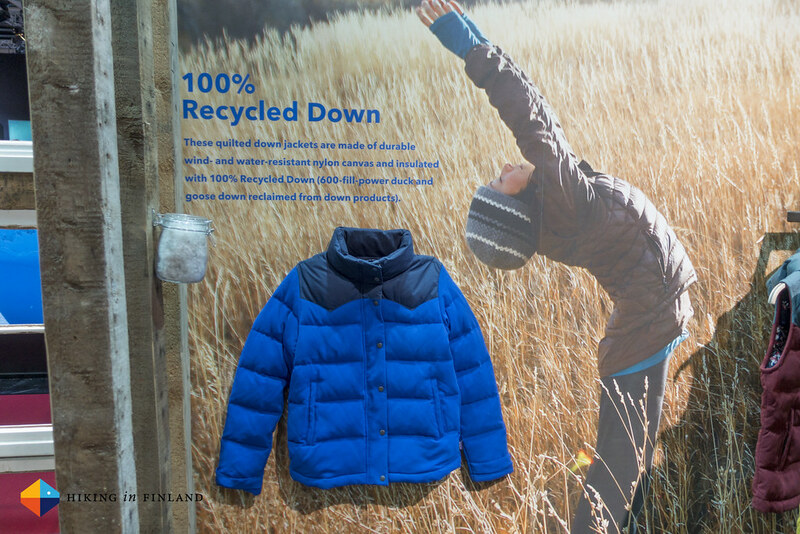 There were three big news from Patagonia, but their Worn Wear campaign on the booth certainly was most interesting. 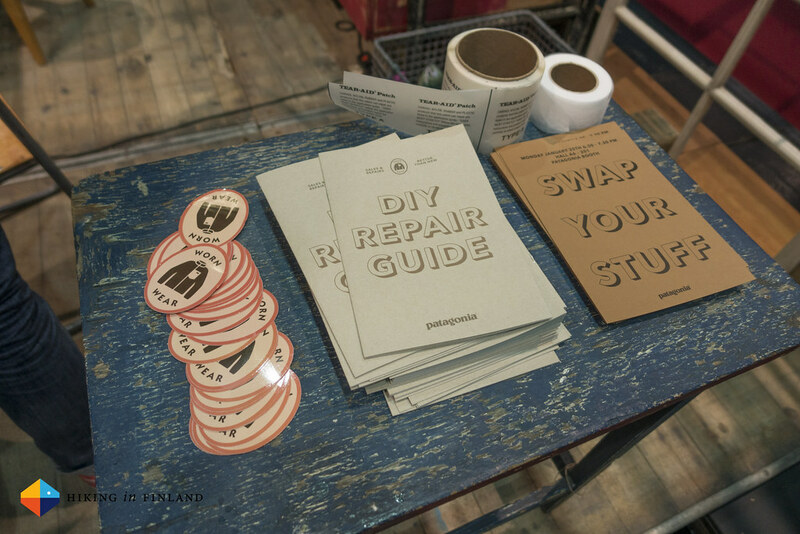 There’s going to be a Worn Wear Campaign in Europe where a team of sewers will travel the continent and fix your broken Patagonia garments, so if you want something repaired keep an eye out for it on their website. 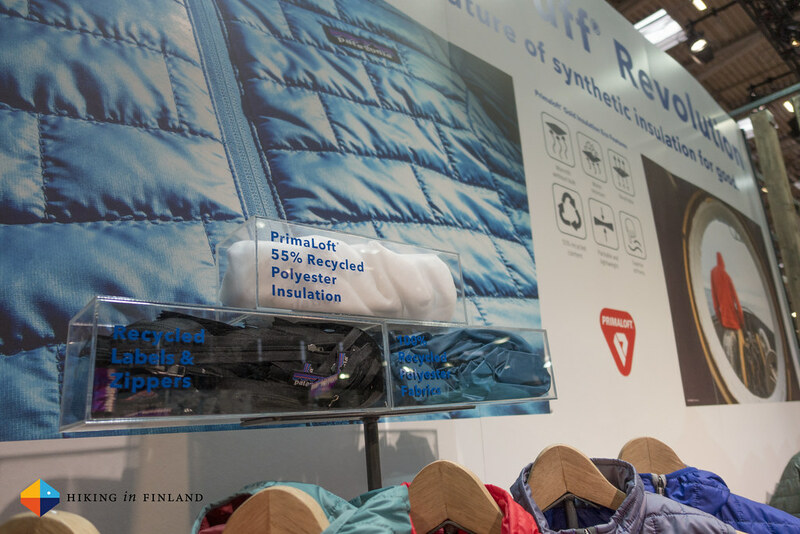 Then there’s the Patagonia exclusive PrimaLoft Gold Insulation Eco, a synthetic insulation made from 55% recycled content with 100% performance of normal Primaloft. PrimaLoft themselves were so positive about this new insulation material that they committed to replace all their PrimaLoft Gold Insulation with PrimaLoft Gold Insulation Eco beginning in 2017! 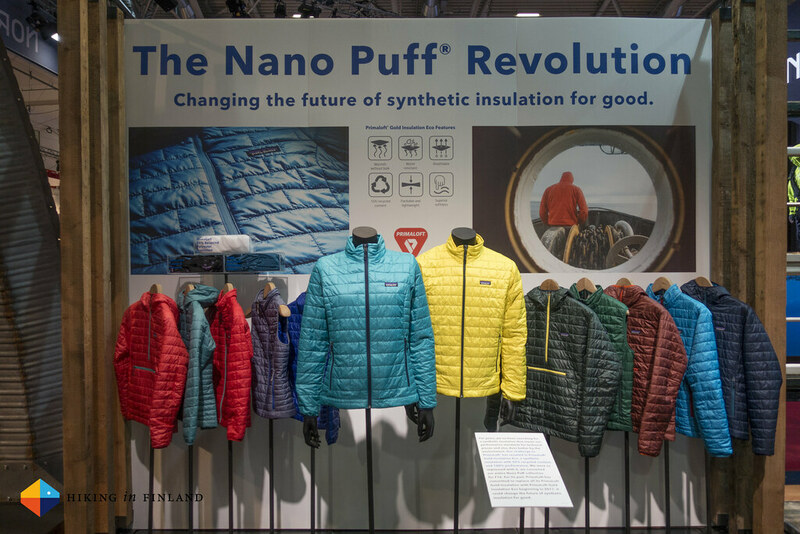 All Patagonia Nano Puff styles - Vest, Pullover, Jacket and Hoody - come in Fall 2016 with the 60-g PrimaLoft Gold Insulation Eco. The second big news was the 100% recycled down. The 600 fill power goose and duck down is reclaimed from used items that can’t be resold and offers identical performance to virgin down. The first garments to use the material are the more urban-styled Bivy Down Jackets & Vests, the M’s Down Snap-T® Pullover and the Down Shirts which could work well for backpacking and camping. No info on weights, sorry, prices go from 200€ to 250€ for these pieces. And then the technical Alpine gear. The Stretch Nano Storm Jacket I’m wearing underneath is the Nano Air Hoody wrapped into a H2No Performance Standard shell fabric, creating a jacket which keeps the elements at bay when you climb and while you belay your mate in a blizzard - no more need to pull on a belay parka with this one on. It will cost 470€, again sadly no infos on weights (but it wasn’t light). ORTOVOX News coming in a wee bit! 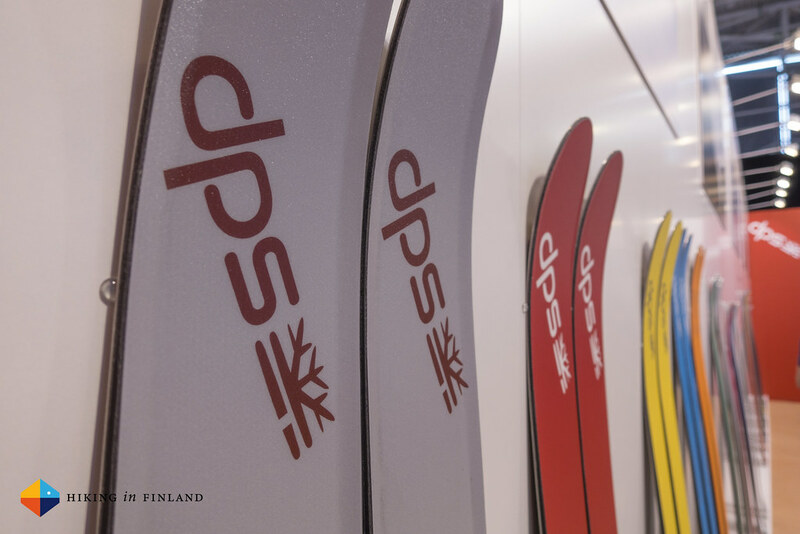 I do like my DPS Skis so I scheduled a visit at their booth to see what’s coming next winter from this innovative ski maker. 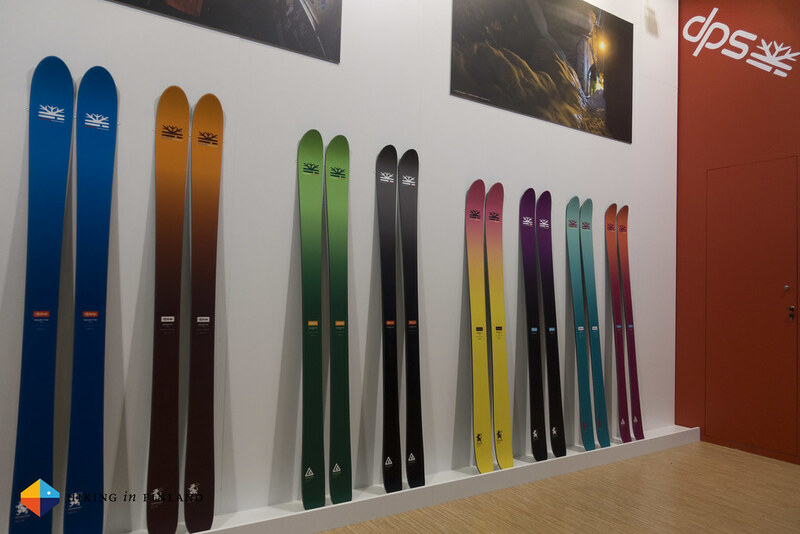 Brand-new next season is their Foundation Line pictured underneath, which uses best-in-class components to create a durable and long-lasting ski. 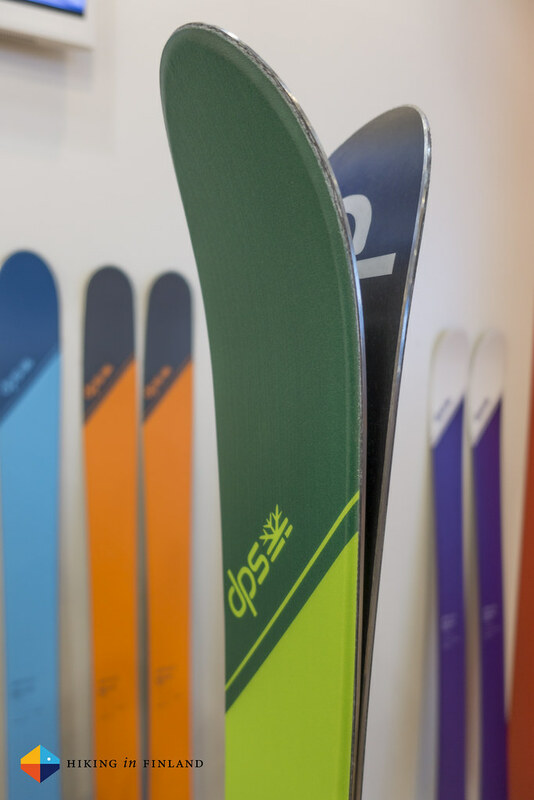 From Polyamide topsheets over a bamboo and poplar core to a graphite race base, the Foundation skis should suit a wide variety of skiers. 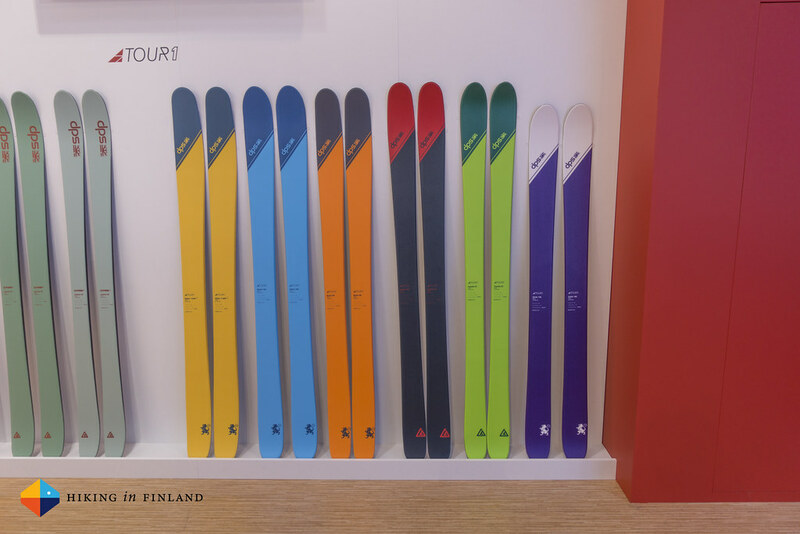 Benefits of the Foundation skis include effortless turn initiation, a solid and powerful drive from mid-turn to exit and that the skis throughout the line feel familiar if you belong to those people who need more than one pair of skis. 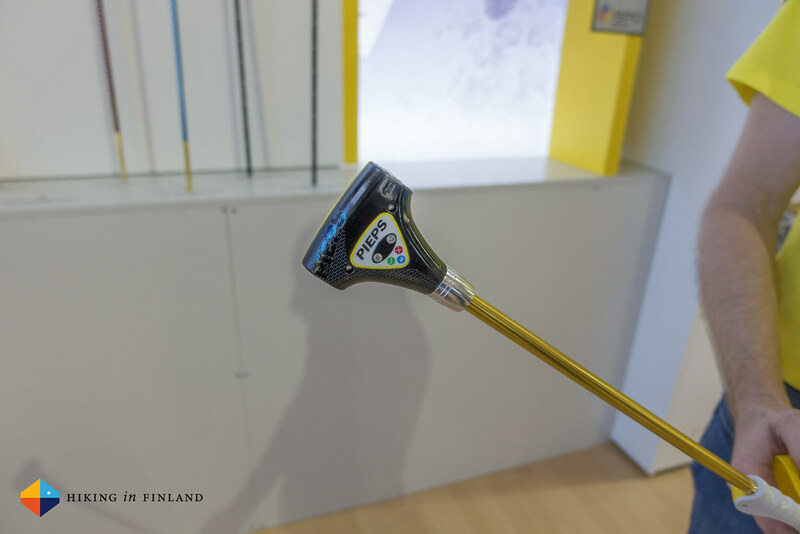 But I was more interested in the new Tour1 models. 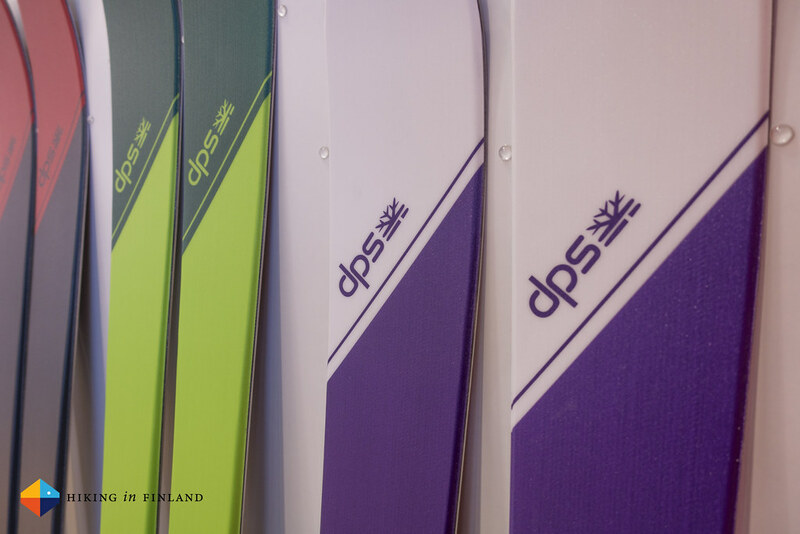 Tour1 is DPS’ backcountry/ ski-touring build of skis which are very light but have great downhill performance - fast up and fun on the way to the valley. The (green) Cassier 87 is the ultralight ski for fast ascents as it fits into thin skintracks and weighs just 1340 g at 178 cm length. At 121/ 87/ 109 it still offers good all-snow and all-mountain performance, for fun days out on the hills. 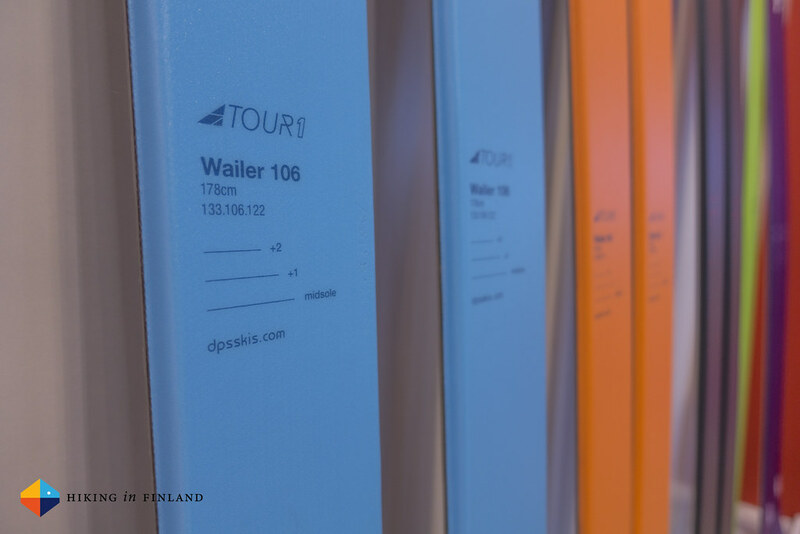 The (blue) Wailer 106 is also new, weighs 1.440 g at 178 cm length and has the fine measurements of 133/ 106/ 122. 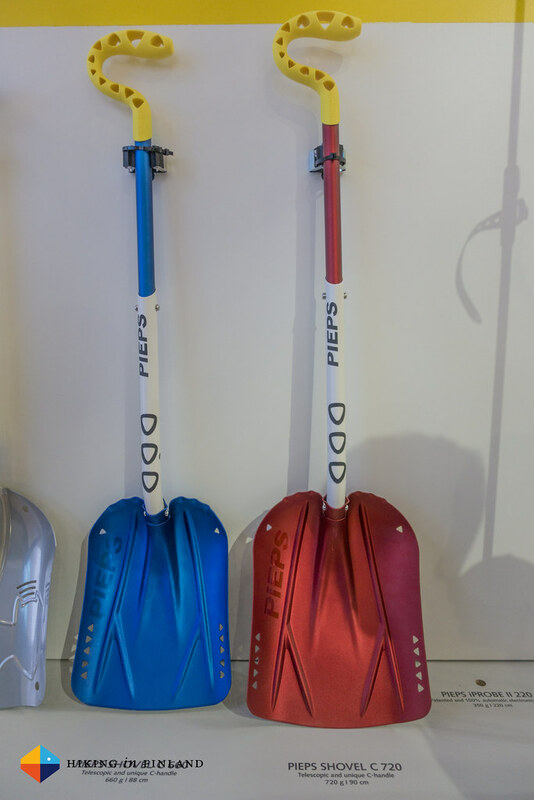 DPS suggests this ski as your one ski if you life in a region which sees consitent snow, measured in centimeters and not meters, as it fits well into the skin track and delivers broad pleasures and predicable precision with its Chassis-driven rocker & sidecut design. 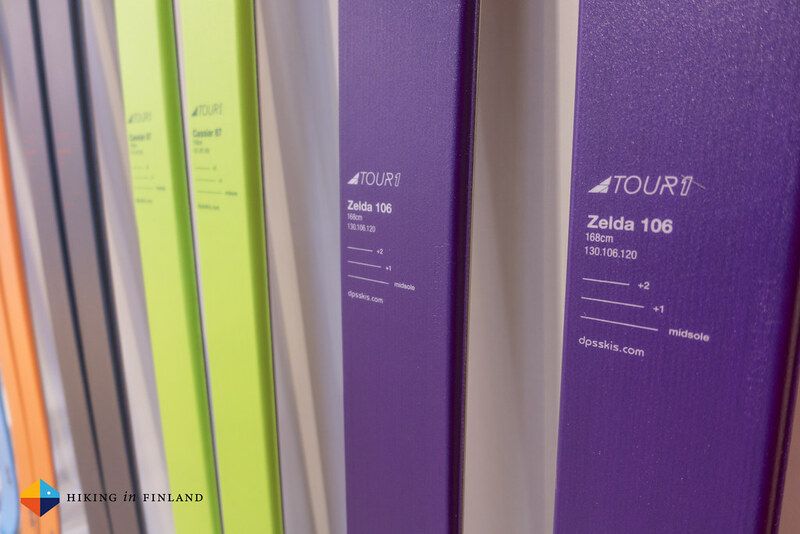 And then there’s the beautiful Tour1 Zelda 106 ski in awesome purple for Women. It weighs 1.340 g in 168 cm length and a bit less in 158 cm length. 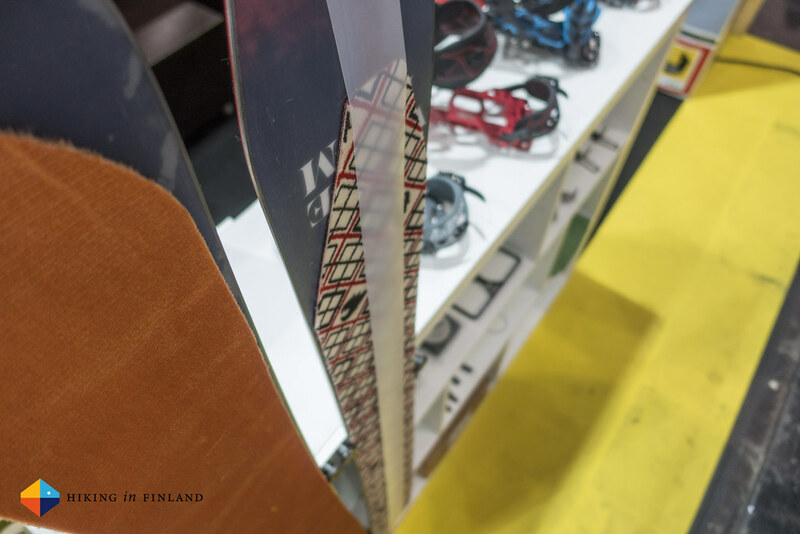 A ski for ladies who are out already with the first snow in late November and will first leave the mountains in June when even on Lyngen the last snow is melting away, the Zelda 106 should be a great touring skis. Did I mention that I love the colour? Good. Splitboarding? Yes! And whom better to visit than Spark R&D, who celebrate their 10 year anniversary this year - congratulations! In case you’re now pondering what Splitboarding is - well, it’s a Snowboard broken down in the middle so that you can skin up the mountain with it - as with skis - and then you put it back together and snowboard down the hill. 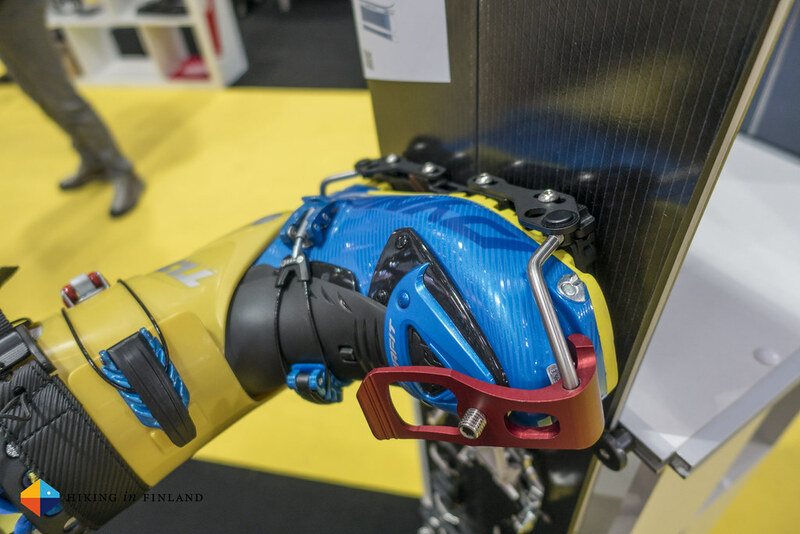 Their Tesla T1 Binding System has won numerous awards and the Surge binding underneath is Spark’s binding for big lines. They’re not new but have updated colours for the next season. As Splitborders also go up steep pointy bits a crampon like the Ibex is useful to get more grip. Available in different widths and compatible with the bindings. The Dyno DH is Spark’s Splitboard binding for hardboots - think Arc’teryx Procline and similar. 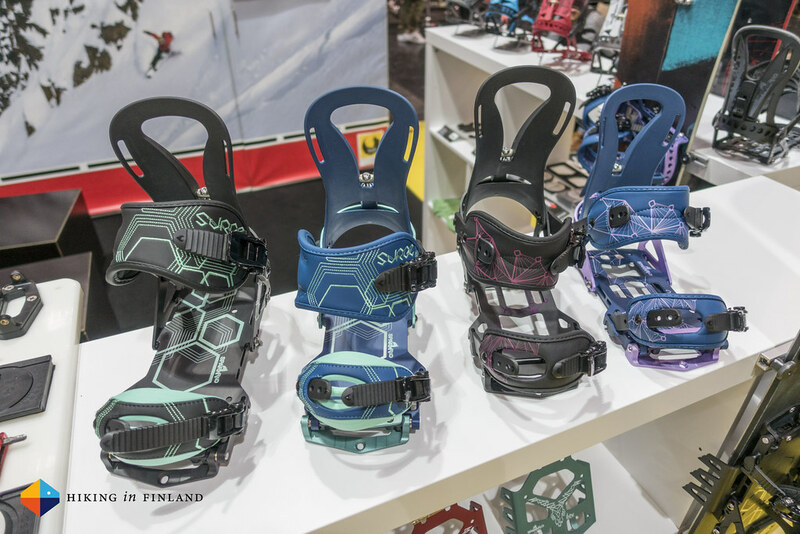 Tour up with normal front pieces for touring up, then slide the Dyno DH on the pucks and you’re ready to snowboard down with your hardboots. New from Spark is the Zip Strap underneath, which increases the glide on flat and low angled terrain. It covers the skin with a slippery plastic film which allows you to feel like you’re on cross country skis and move faster, all without needing to take the skins off. When not needed it rolls up to a tiny package. 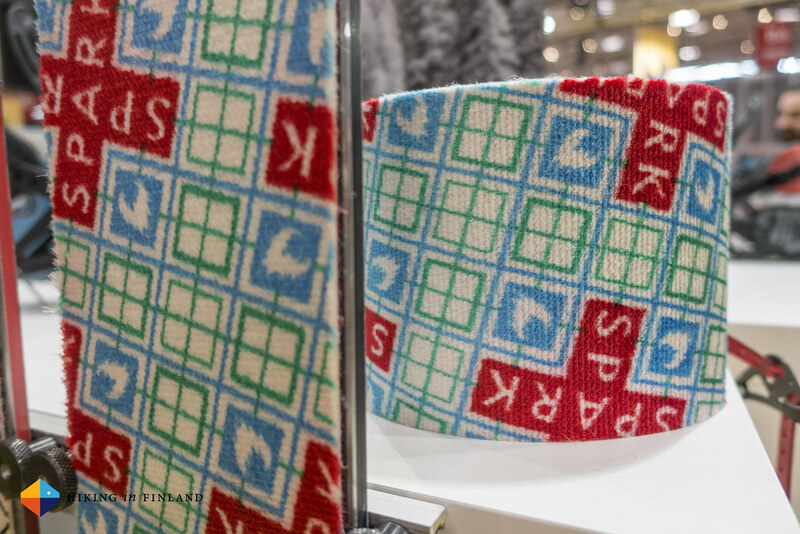 The Splitboard skins from Spark are made by G3 and come with the Spark Tailclips which attach great to your Splitboard in touring mode. For the next season they got a new look, otherwise they’re just as great as they have been. 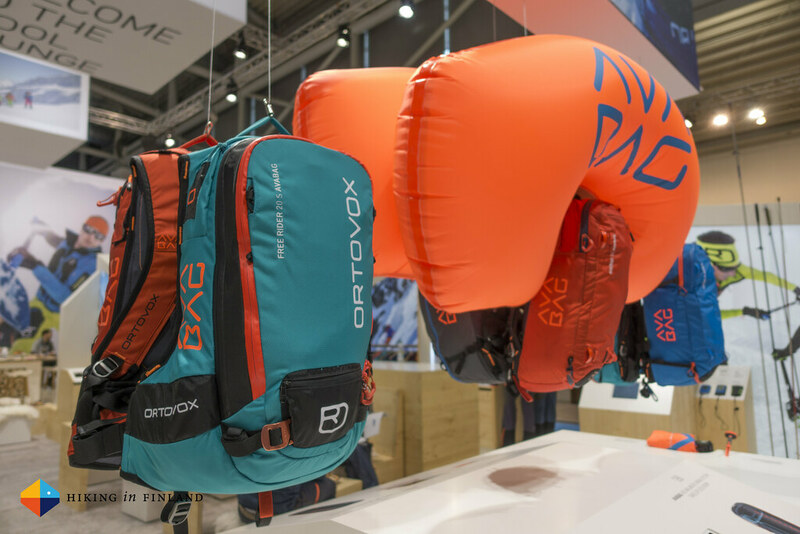 Having a #NoGearYear doesn’t mean there will be no reports or reviews on gear this year - so stay tuned for the next update from the ISPO 2016 next week and check out more photos in the ISPO 2016 Flickr Album. Did this article make you smile? Great! Smile more and subscribe to the Newsletter and follow along on Instagram, Facebook, Twitter and Youtube for more updates that will make you smile!